The town of Baldwin was formed by an act of the Legislature, April 1856, taken from the town of Chemung. The first election was held May 6, 1856, at the house of Daniel R. Harris. Officers elected: William H. Little, supervisor; Johnson Little, town clerk; Daniel R. Harris, commissioner of highways; William R. Drake, William McCumber, Jeremiah McCumber, justices of the peace; Schuyler Smith, collector; Holly Westbrook, John Bright, Willis Jenkins, Schuyler Smith, constables; Timothy J. Smith, overseer of the poor; Robert R. Hammond, inspector of election. The township was named in honor of the early settlers of Chemung, Thomas and Waterman Baldwin. The early settlers were: Charles Granger, Warren Granger, Henry Tice, Jason Hammond, Elisha Hammond, James Hammond, David Hammond, Robert Hammond, Cornelius Hammond, Charles Dunn, Jeremiah McCumber, John Collson, Stephen Inman, Alphonso Lathrop, Jesse Brooks, Josiah Brooks, Daniel Higgins, John Blandon, Gilbert Salnave, Isaac Brown, Levi Little, Abram Brewer, Paul Whittaker, James Cooper, John Cooper, Simeon Kent, Harris Haywood, Phineas Blodgett, Francis Drake. --Elijah Ruger carried the first mail in 1846. --Allen Cooper was elected sheriff, in 1874. --Levi Little built the first framed house, in 1845. --Elisha Hammond built the first saw mill, in 1828. --Dr. J. W. Moore was the first physician, in 1836. --The Methodists held service in the town, in 1818. --John Blandon built the first framed barn, in 1818. --The first postmaster was Anthony Collson, in 1846. --Charles J. Hutchins, built the first grist mill, in 1875. --The first death was that of Thomas Weaver, in 1820. --Charles Granger built the first house in Baldwin, in 1813. --John Tuthill, Jr., taught the first school, in the year 1819. --Miles Covell and Jacob Tice, opened the first store in 1840. --The first school house was built in Baldwin, in the year 1821. --The Union church was the first church edifice, erected in 1852. --John Collson brought the first wagon into the township, in 1817. --Henry Tice, an early settler, was a soldier of the revolutionary war. --The first marriage was Nicholas Patterson and Miss Anna Tice, in 1818. --In 1866, John S. Gunterman was justice of session. Robert Cassada in 1856-59. --Simeon Hammond was the first child born in the town, in the year 1815. --Baldwin sent one hundred and sixteen soldiers into the Union army, during the rebellion. --Elisha Hammond, William Hammond, Levi Little, Paul Whitaker, James Cooper, early settlers, were soldiers of the war of 1812. --Union church, erected in 1852. Free to all denominations. Seven trustees were appointed, one from each church and three from the people. Cost $1,100. Rev. David Murdock preached the dedicatory sermon. --North Chemung Grange, 227, organized in July, 1874. Its first officers were: Miles S. Nixson, master; J. Collson, Jr., overseer; N. Cooper, steward; E. M. Little, assistant steward; G. S. Little, lecturer; William R. Hammond, secretary; John E. Smith, treasurer. 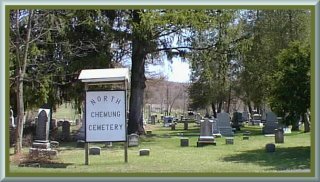 --North Chemung church, organized in 1818, with the following members: Jesse Brooks and wife, Henry Tice, Hulda Tice, Susan Collson, Abigal Fox, Mrs. Sally Baldwin, Miss Fanny Dunn, Jason Hammond, Mary Hammond. Jesse Brooks, class leader. Rev. Mr. Berge was the first circuit preacher.